Balbinder Singh is a PE teacher of over 20 years who blogs at Reinventing the Game. The focus of most of his posts are on games based approaches to teaching sports and trying to answer the question ‘what is the most effective way of teaching a game?’ His recent series of posts have been where does non linear pedagogy and the constraints led approach sit within his current practice and thinking. Teacher Influenced Constraints vs Skill/Action Scenario Constraints in PE (Constraints To Learning and Constraints Of Learning) and Deliberate without being Deliberate: Deliberate Emergence in Physical Education (PE) are deeply reflective and thoughtful explorations of this topic. Simplifying and Overloading in games learning for Physical Education (PE) is a very good posts that shares his thoughts on reducing or increasing the complexity to find the optimal ‘playability‘ for his students learning. When a lot of conversations on twitter about teaching styles and approaches seem to be polarised, Balbinder brings a nuanced and pragmatic viewpoint of a practitioner trying to make sense of the research and evidence and do what is best for his students learning. Are cones the enemy? Deliberate vs Emergent solutions in Physical Education is an example of this type of thinking and as a fellow teacher I’m grateful for him taking the time to share his thinking. 6 Ways to Save Youth Sports from Ruining Kids is a an excellent article from Sean Smith writing for Simplifaster on how rather than bemoan the state of youth sports there are things that we can be doing to make it better. Letting go… continues Mark Upton‘s fragmented thoughts about sports systems series with a reflection on letting grand of grand plans and focusing on collaborating together the engender the love of play, games and sports. HOW Create a Team Culture… Rites, Rituals, Routines and Artefacts by Nick Hill on the power of building rituals and routines in the pursuit of building a positive culture in your team. Physical education: time to stand up is an advocacy piece by Shane Pill urging PE Teachers to fight on behalf of their subject against the current status quo. Aligning Beliefs and Actions by Ash Casey is the penultimate blog in his practitioner reproach series, which asks us to engage in the study of our own practice, to uncover of beliefs and to see if they are congruent with our words and actions. Designing a Learning Space: Football Interactions is by Mark O’Sullivan who continues to share with us his coaching practice as he attempts to embrace and ecological perspective to skill acquisition within football. Why Playing Tag Is an Awesome Way for Youth Athletes to Build Speed, Agility and Awareness developing speed and agility in young athletes doesn’t have to be complicated as this article explains. What we believe are myfastestmile‘s guiding principles and something all PE Teacher’s should read as a prompt to reflect on their own beliefs and practice within lessons. The most effective teachers turn to their colleagues for advice (while weaker teachers don’t bother) is an article by Bradley Busch from Inner Mind on a piece of reproach that explores the behaviours of Maths Teachers – something for PE Teachers to consider. How You Felt About Gym Class May Impact Your Exercise Habits Today is a NYT article by Gretchen Reynolds based on research “My Best Memory Is When I Was Done with It”: PE Memories Are Associated with Adult Sedentary Behaviour by Matt Ladwig and colleagues on the the impact of their retrospective enjoyment of PE on their present attitudes and intentions for PA, as well as present PA and sedentary behavior. International Teaching – Is it for you? Regular physical activity can reduce poor mental health. The Recess Equipment Dilemma: Part 2 – A plan that works. Part 1: First Steps to New Thinking. 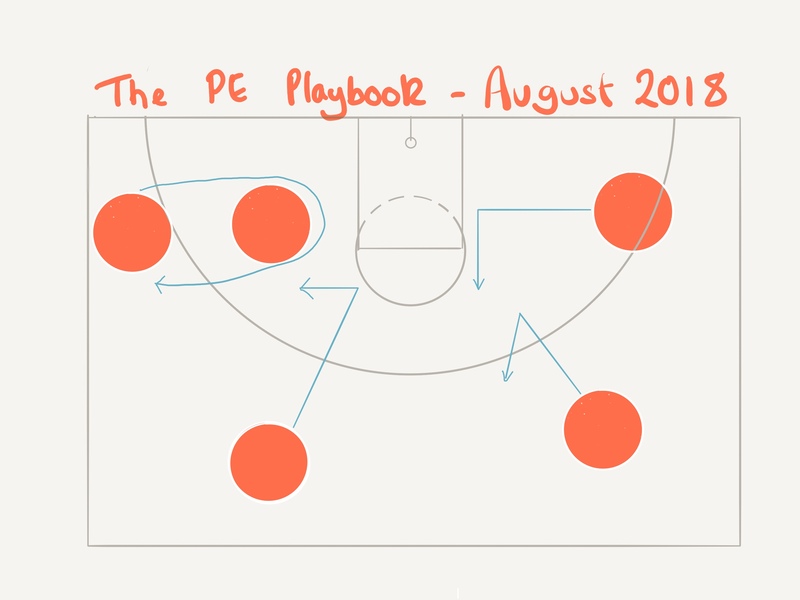 What is the most important piece of exam analysis for PE departments? New Research on Implicit Learning: Is it a More Effective Way to Acquire New Skills? Have you noticed the view? Which is the only country to protect in law the child’s right to play? Sore Losers (Does Being a Sports Make Us Unhappy? Is football a matter of life or death – or is it more important than that. Previous Post Be more fox.